Art Gallery Cards: Art Gallery Cards and Two (Tooooooo) Fun St. Patrick's Day Cards! 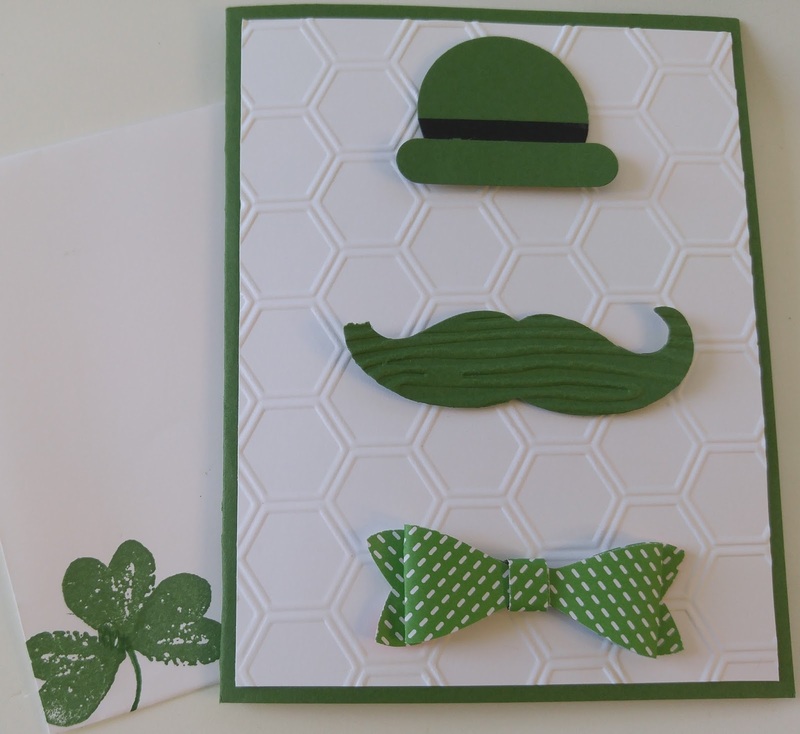 Art Gallery Cards and Two (Tooooooo) Fun St. Patrick's Day Cards! March is almost here so we're thinking about some cute, cute, cute cards to send to our Irish family and friends for St. Patrick's Day! Like the shamrock for our envelope? It's the heart from Work of Art!. Makes a really pretty shamrock! Like a bit more to do? Well, have at it with this card. We used the Over the Rainbow stamp set with Pacific Point, Cucumber Crush, Crushed Curry and Calypso Coral inks to achieve our rainbow and like the derby hat above, we used the Word Window and Circle punches. Our clouds are punched using the 2 3/8" inch scallop circle punch. We colored our Perfect White Dots with a (sniff) Blendability marker. 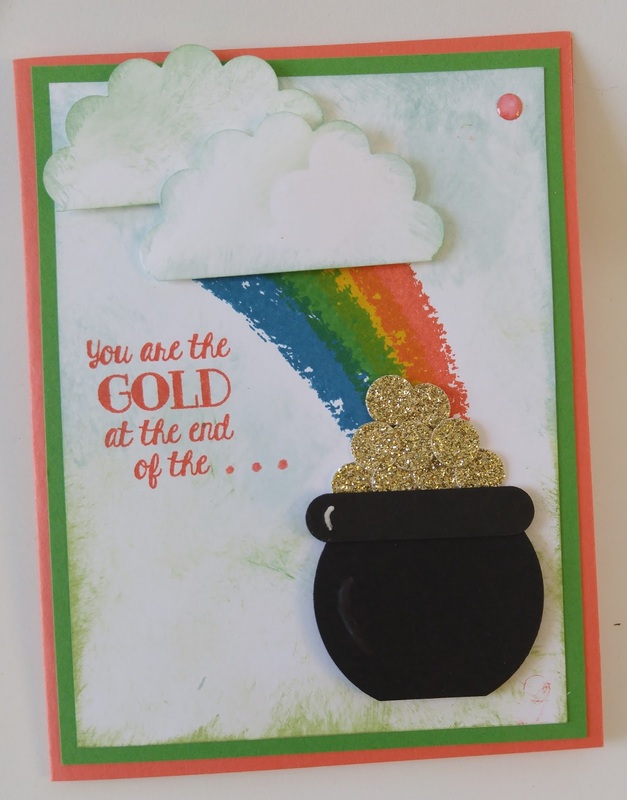 Everyone gets a pot 'o gold! A special thanks to our Sale-A-Bration 3 Month club members. 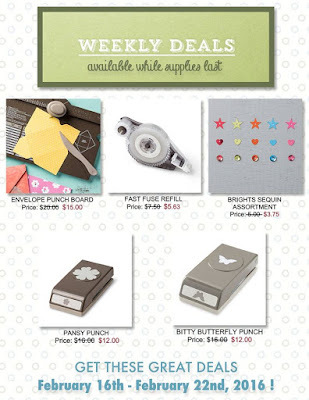 So far the January and February hosts have received $70+ in free merchandise plus an extra Sale-A-Bration item. Consider joining or forming a club next year!! A huge THANK YOU to my Downline Divas. (Yes, we all look just like this!! :-)) We are having thank you and recognition luncheons in the next few weeks. 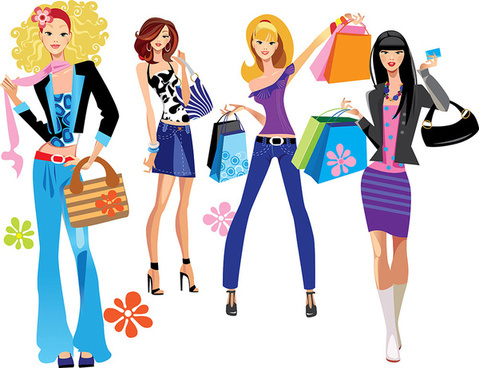 You can join us JUST FOR THE DISCOUNTS on everything your heart desires. By the way, you can use host credits toward the $99 kit fee. 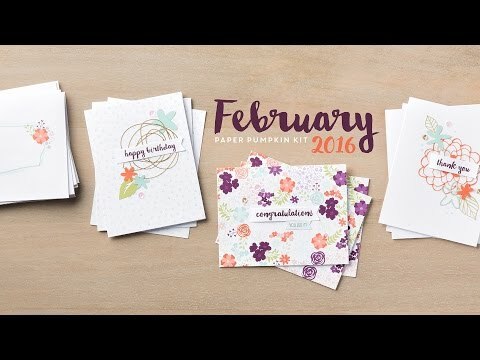 The kit fee, during Sale-A-Bration, gets you $155 of your favorite products. You also save $15 because Shipping is Free!! Join my terrific little group! Save on a 3-month prepaid subscription and instantly qualify for a FREESale-A-Bration item!